Love that I can enjoy CBD in a refreshing soda. I received samples of Sprig to facilitate this post. Do you have days that just seem frustrating and nothing seems to go as planned? This was my day. I woke up early to head to the gym, I was amazed that I got out the door by 7 AM. I knew that the day might be busy as I had to make a phone call to straighten out a hotel bill that was supposed to be charged to my husband's work but instead was charged to our credit card. I had been on the phone all day yesterday but this call was to see if my husband's company had been successful. So after an awesome workout, I was ready for the day. To my surprise, my husband's work called me and took care of the bill. So I was glad that was done and I was ready to take care of other planned items for the day. That was until I glanced at the kitchen countertop and saw ants, way too many ants. I started spraying the countertop with my homemade peppermint spray which is basically water and peppermint oil, this helps stop the scent trail. As I was wiping up the ants I opened a cabinet and saw more ants all over my small appliances. My day took a turn for the worse as that meant hours of cleaning everything in that cabinet. After I set everything outside, I then grabbed the Ant Gel that the ants eat and it kills the whole hive. I feed those ants and within minutes tons of ants were eating the powerful gel. I then still had to clean up everything that was outside. After a couple of hours, I finally sat down with my smoothie and read my email. Then the boys got home from helping a neighbor and it was time for summer lunch park. I brought my computer with the intent to get some work done but I instead talked with some friends. I was ok with that because I needed some girl time while the boys played with their friends. A Delicious CBD-infused Soda is what I needed. 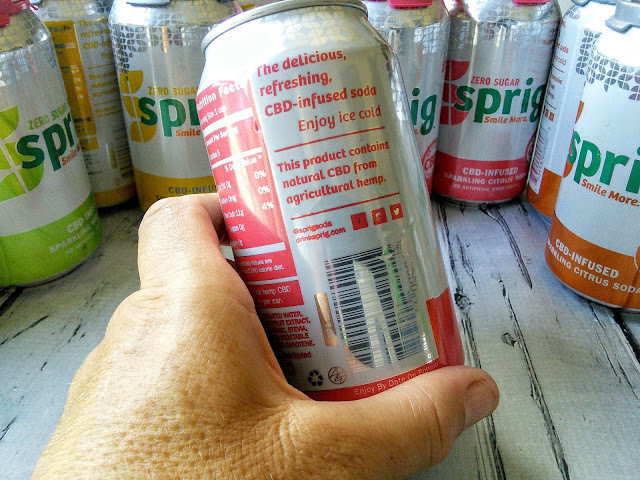 The new Sprig CBD beverages are crafted with high quality, all-natural CBD, derived from agricultural hemp. Each can features 20mg of CBD and is naturally flavored and sweetened. 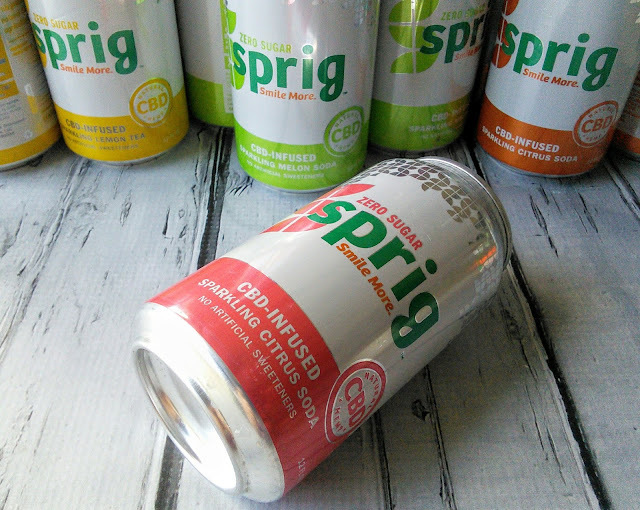 Sprig is a California-based beverage manufacturer specializing in sparkling CBD and THC-infused drinks. CBD is the non-psychoactive component in cannabis and is known for its health and wellness benefits, ranging from acting as an anti-inflammatory, anticonvulsant, antioxidant, antiemetic, anxiolytic and antipsychotic agent. This CBD-infused soda is my new refreshing treat that I will enjoy on those days that mind needs to calm down from a stressful day. If I wanted to enjoy this soda anytime, I could because CBD is a non-psychoactive compound, unlike THC which is not present in this soda. I just choose to use CBD on occasion. 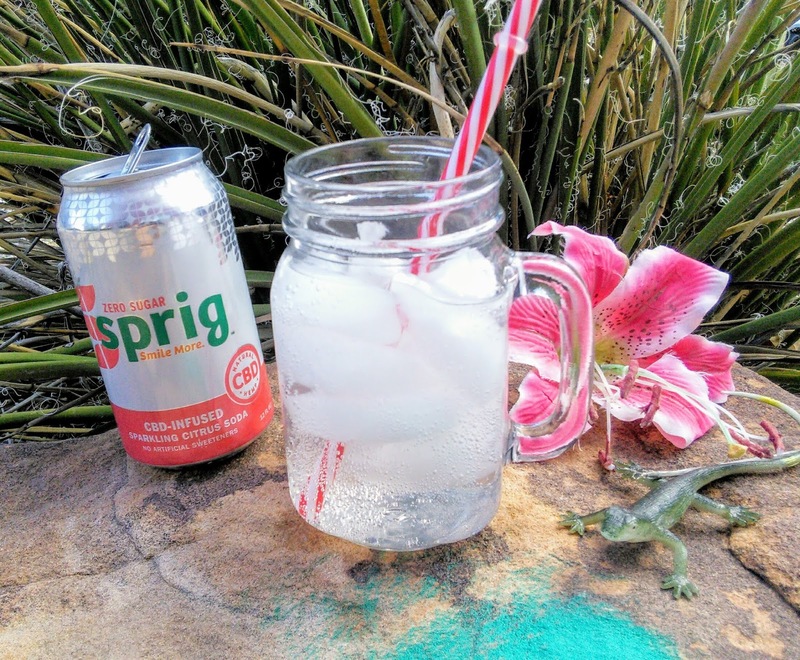 This delicious drink comes in four flavors, three that are zero sugar. I am glad that this delicious CBD-infused soda helped me get through a stressful day. Tomorrow will be a better day. OMG that sounds so good! I had a very similar day yesterday. Very frustrating. I have never heard of CBD-infused soda so thanks for the information. I hope both of us have a better day today! Wow! I live in California but I'd never heard of this drink before. I will be passing along this product suggestion to my mother who has multiple sclerosis and is living in a lot of pain. Thank you so much for putting this beverage on my radar! I had no idea there was a soda infused with CBD oil on the market. Is this something that is only available in california? I would give this a try. 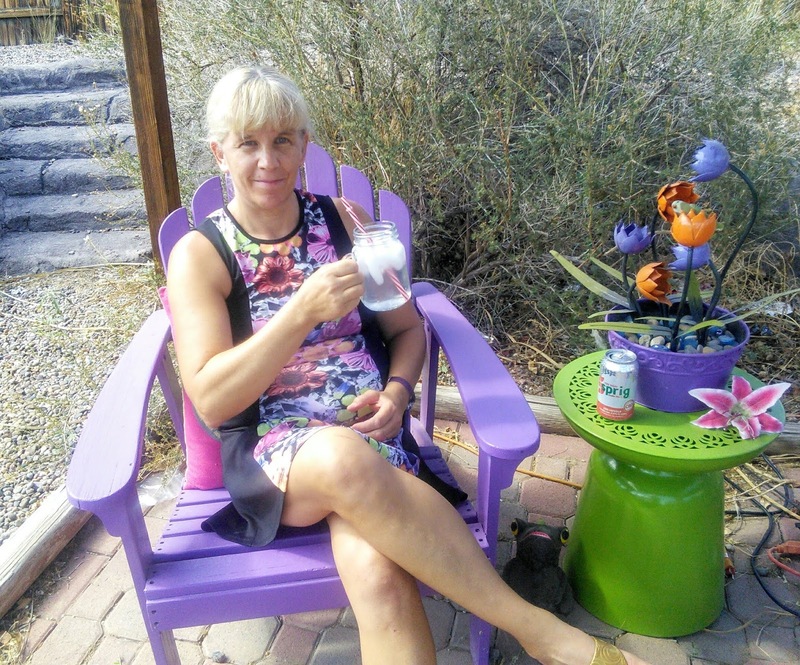 I am all about relaxing, especially during summer break. I had no idea CBD infused soda was a thing. What a refreshing and really cool idea! I may need one of these to help me relax! Now this is news to me. I take some CBD items to help me with pain and to help me relax from stress from the pain. It's nice to know that I could also be enjoying a CBD soda as well. How refreshing and relaxing. Sounds delicious and effective! Would love to try some! I had no idea this existed, thanks for sharing! I have to admit I had no idea you could get something like this, I am sure a lot of people will be looking to buy it! I love how infused sodas can be all fritzy yet refreshing. Definitely the CBD looks like one I'd want to take on a hot summer day when I'm tired. I love that it is actually refreshing! This is my first to hear of it. I didn't now you could buy this! I'll be looking for it too. Very interesting. I´m in California but I have never heard of it. This is the first time I hear of this product. I had no idea it was sold in a refreshing soda can. I'd never even heard of this before. I had to Google what it was! This sounds absolutely delicious. I wish I had heard of this sooner but will definitely be on the lookout for it now. wow, I had no idea that there was CBD Soda. I'm glad it worked for you! I don't use CBD in any form, but am happy it is able to help so many people. It is the first time I read something about CBD infused drinks. Looks like a refreshing drink to me. When I go for grocery shopping, I will try to look for this. This looks so refreshing! I don’t know how I feel about personally using CBD products, but I’m glad they have helped you! I once bought an ice tea and read that it has CBD only while finishing my drink. I must say it was tasty. Such reasonably article ar perpetually a results of nice effort to assist the folks. 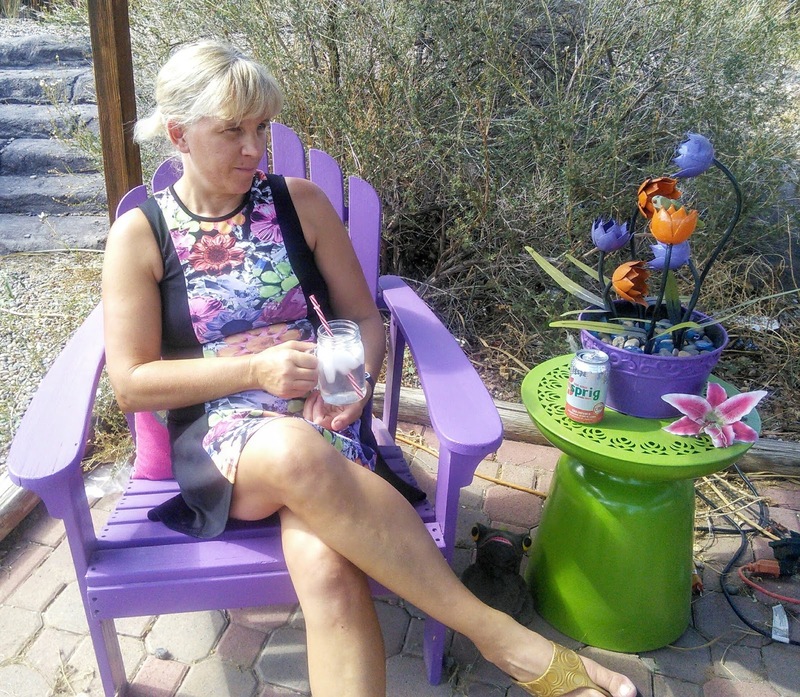 Thanks for sharing such an excellent piece relating to CBD Water.